Do you find yourself wishing manual data entry tasks in Microsoft Dynamics 365/CRM were automated? If you are not familiar, workflows are processes that run with no user interaction. They are scheduled and run independently of other processes. Workflows are triggered either automatically based on certain events on the entity forms or specific conditions, or they can be started manually by a user. Are you ready to take full advantage of workflows in Microsoft Dynamics 365/CRM? 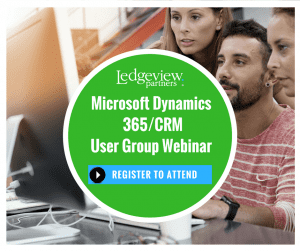 In Ledgeview’s February User Group for Microsoft Dynamics 365/CRM, you will learn how to define the need, map the process, build the workflow and launch workflows in Microsoft Dynamics. Don’t worry, you do not need to be a CRM Administrator to attend – this session will be suitable for users of all levels! And of course, with all our monthly user group webinars, we will answer user-submitted “How-To” questions to help you get the most out of Dynamics and improve user adoption. All Microsoft Dynamics 365/CRM enthusiasts are welcome to attend these complimentary monthly user group webinar training sessions. 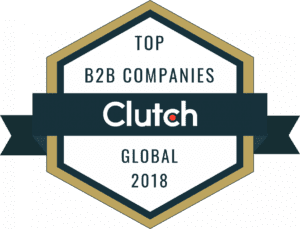 You do not need to be a customer of Ledgeview Partners to participate but feel free to come on board with us at any time! Any questions regarding this webinar, or to suggest future topics contact Chad Collett at ccollett@ledgeviewpartners.com.